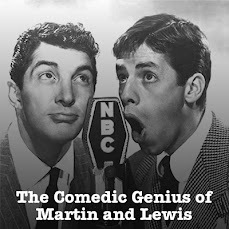 From June 21st, 1949, Dino and Jerry welcome singer Tony Martin to the show. This also marked the show's move to Tuesday evenings. Dean sings Take Your Girly To The Movies and Some Enchanted Evening. Tony Sings Comme Ci, Comme Ca and they duet on Anything You Can Do, I Can Do Better.